Will the Zoe "The Dark Warrior" say something inappropriate? Will Katie "Stats" Wicka reveal your percentage chance of dying this week? Will the "Audio Wizard" Manny Latina (OLE!) sue the show for stereotyping? 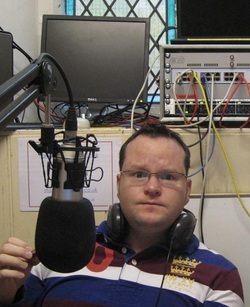 The Alan Donegan Show noon on Sunday’s on Radio Basingstoke. In April 2012 the Alan Donegan Show broadcasted from the Bengal Brasserie in Basingstoke, tasting, reviewing and enjoying Bangladeshi and Indian cuisine. What a show!